It's September! Bring on the fall festivals, and add a face painter or henna artist to the mix of bobbing for apples and hayrides. Early planner? Get ready for Halloween with a machete - I mean, caricature artist. 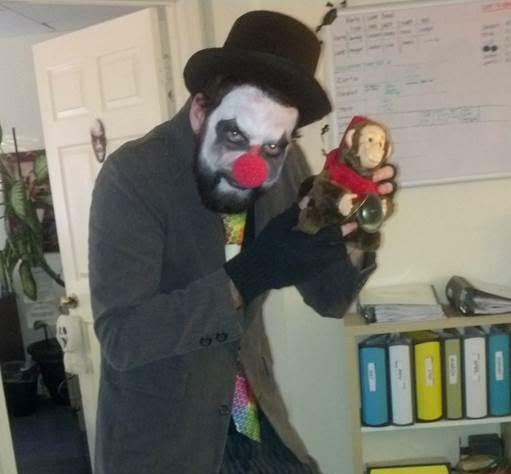 If you're brave enough, maybe even a (*deep breath*) clown. Let About Faces help you brace yourself for the onslaught of football kick-offs, barbecues, and dinner parties. An entertainer can be the cinnamon in the cider at your September party! 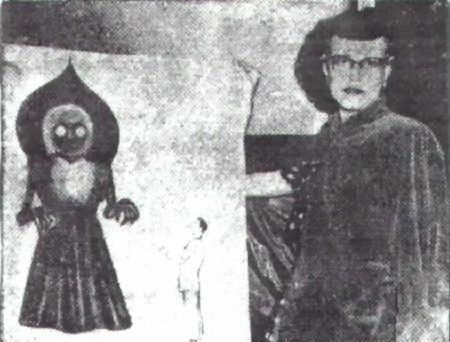 at Flatwoods, WV, some young school boys saw a fiery UFO streak across the sky and apparently land on a nearby hilltop. Rushing to the site, and gathering a few others along the way, they saw a pulsating red light, encountered a nauseating mist, and turned a flashlight on a pair of shining eyes, revealing a huge creature. As it hissed and glided at them, the group panicked and fled. The next day investigators discovered skid marks and an oil-like substance that presumably came from the UFO. September of 1952 was certainly an eventful month. How about September of 2016? It's all up to you. You might not be able to discover proof of a UFO, but hiring some entertainers from About Faces just might do the trick. First and foremost, have a welcoming party for your new students, or a welcome back party for returning ones. Second step towards the perfect scenario: acquire entertainment for your party. Not sure about whom you should hire? Keep this in mind: caricature artists allow students to walk away holding a memory. Face painters can create logos on the fly to promote school spirit. And henna tattoo artists can design beautiful pieces of temporary art for the students. Not sure what agency to use for the hiring? About Faces has provided great entertainment for events at over 28 colleges across the US! If you want the perfect party, About Faces is your ultimate aid. Last, but most important, rescue at least 10 puppies from the nearest shelter and have them running free during the party. This strategy is proven to produce happy students! And afterwards, make sure all the puppies find good homes. We want them to be just as happy as your students when they see our awesome entertainment! Click here for more information about booking entertainment for college events. Now it's time to book your entertainment. Use the coupon at the top of this email, and have a great time at your party! Call 1-800-92-FUNNY or email us today!